LEGO MINILAND Model Display Star Wars Episode II: Attack of the Clones GIVEAWAY! You are here: Home / Dallas/Fort Worth Events / LEGO MINILAND Model Display Star Wars Episode II: Attack of the Clones GIVEAWAY! CLONE TROOPERS INVADE LEGOLAND® DISCOVERY CENTER IN NEW LEGO® STAR WARS™ MINILAND MODEL DISPLAY! GRAPEVINE, TEXAS (January 13, 2016) – LEGOLAND® Discovery Center Dallas/Fort Worth will offer a full year of galactic fun with a new LEGO® Star Wars™ MINILAND Model Display, debuting to the public on Saturday, February 6, 2016. The exhibit will depict the First Battle of Geonosis in Star Wars Episode II: Attack of the Clones. Each display will recreate favorite scenes in Star Wars™ Episode II: Attack of the Clones. 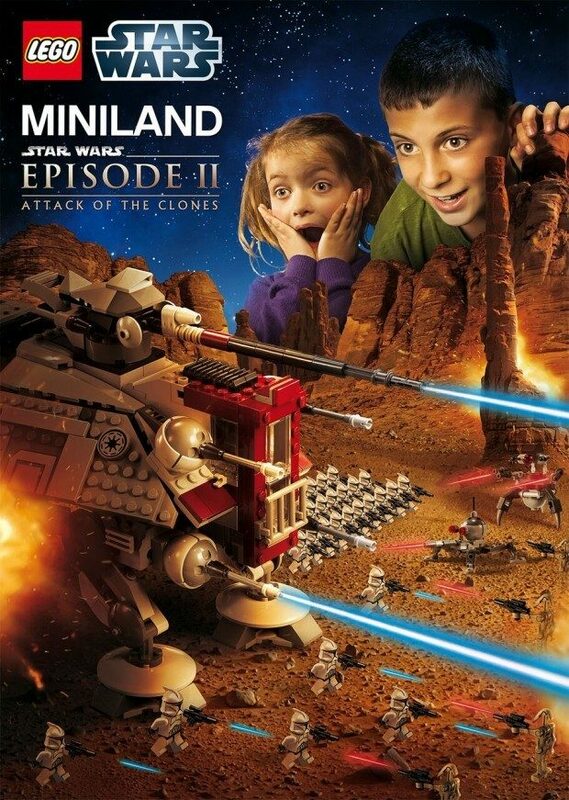 The LEGO® Star Wars™ MINILAND Model Display, featuring Episode II: Attack of the Clones, will be FREE to guests with general paid admission into the attraction. 3000 Grapevine Mills Parkway Grapevine, Texas 76051. That sounds like a great new addition! We LOVE LEGOLAND, they have a full day’s worth of stuff to keep the kids busy, rain or shine, heat or cold! There are rides, movies, exhibits, a waterpark, and of course more LEGOs of all shapes and sizes than you could imagine! They have offered my readers a chance to win 4 tickets the opening of the all-new LEGO Star Wars MINILAND Model Display featuring Star Wars Episode II: Attack of the Clones at LEGOLAND Discovery Center! Just leave a comment telling us your favorite Star Wars character! This giveaway will end Thursday, February 4th, 2016 at 11:59 pm Central time and the winner will be emailed soon thereafter. Make sure you add GroceryShop[email protected] to your address book, so you get the email if you win! I have always liked Chewbacca best. I do not think I would be able to attend, so I would have to cancel my entry. Sorry!